Saturday morning I had the unusual luxury of sleeping in before it was time to get up and get ready for a regatta. 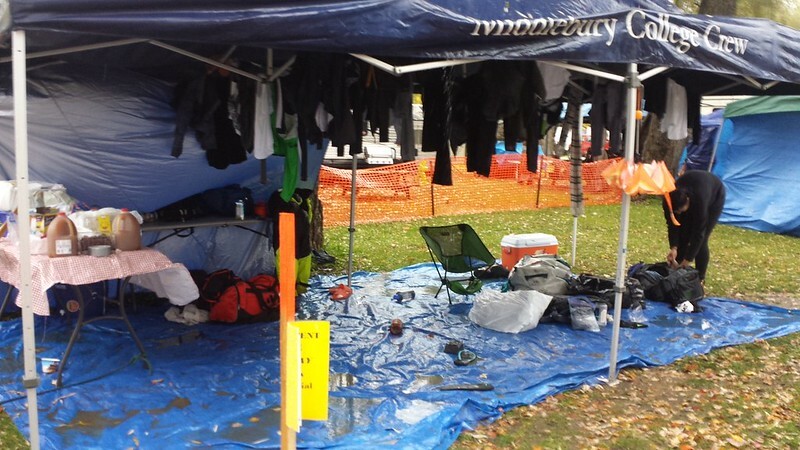 I'd decided it was too much to try and go with the team to the all-weekend Head of the Schuylkill in Philadelphia, and I still think that was the right decision. 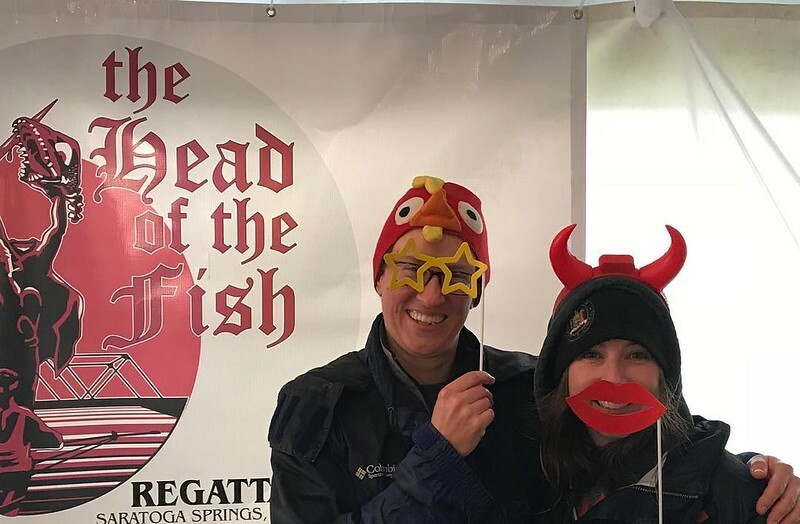 Instead, H and I were going to go race in the 2x at the Head of the Fish, which is on Fish Creek in Saratoga Springs, a 30-minute drive away. The weather forecast was ominous: "wintry mix," wind, and rain. We braced ourselves for the worst, with H declaring that if things were too bad she and I could try and tough it out, then she and her husband J would cancel their race, which was supposed to happen at 5 pm. I packed a bunch of extra clothing (all the wool!) and mixed up a thermos of piping-hot hot chocolate. They came and picked me up and we drove out to the race course. On our way I started having flashbacks to a couple of miserable regattas in college, where most of our time at the regatta consisted of sitting inside somebody's car, desperately trying to stay warm. In fact, some of those memories might have been at a previous rendition of the Head of the Fish. The campground looks eerily familiar to me. Anyway, we arrived, braced ourselves, then went out into the rain to unload and rig the double. I was instantly glad that the previous week I'd bought a pair of low-rise rain boots from LL Bean. I was also instantly glad that I was wearing a ton of wool clothing plus my chicken hat. My fingers were a bit cold but that was it, and they were only cold because I gave my wool mittens to H (she needed them more than I did). Once the boat was rigged we trudged around to look for registration. 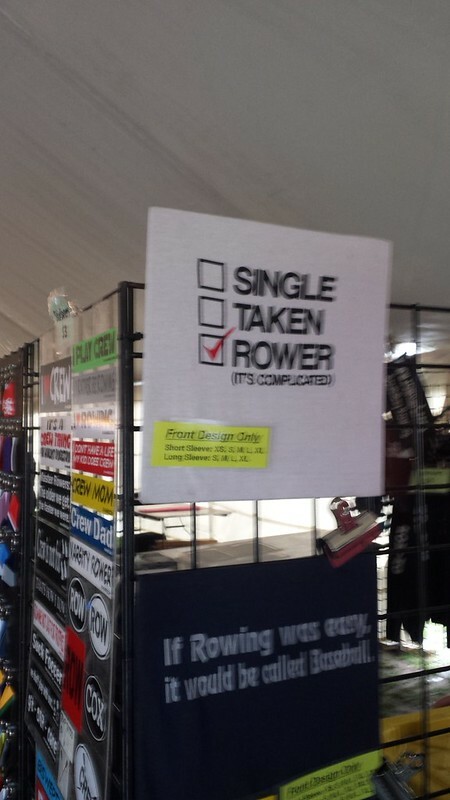 When we told the volunteer we were there to pick up our racing packet, she asked, "Oh, for Sunday?" 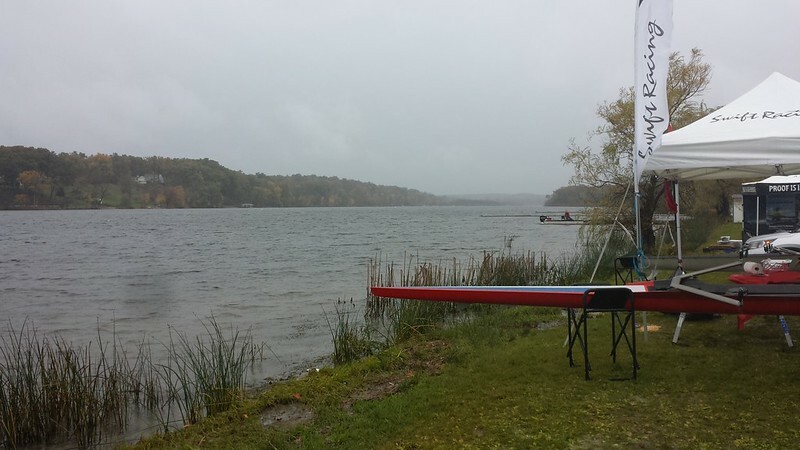 The rest of the afternoon races had just been canceled because the wind had picked up too much. Oh well. 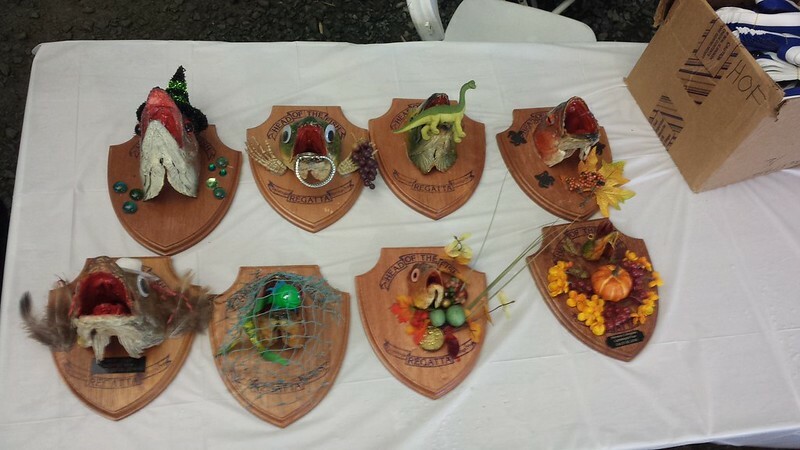 Maybe next year we'll have a shot at winning one of the fish head trophies. At least we got a consolation photo? This entry was originally posted at https://rebeccmeister.dreamwidth.org/1259187.html. Please comment there using OpenID.